BASKETBALL SPOTLIGHT NEWS: The #1 Player In The Land Returns To Future Phenom Camp! The #1 Player In The Land Returns To Future Phenom Camp! 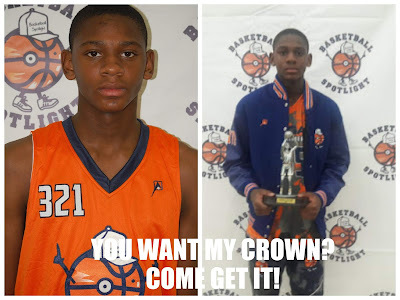 Elijah Fisher was the King of the Future Phenom Camp last year finishing #1 in the event. This year here turns to defend the crown against the best in the country. Fisher is currently ranked #1 nationally on everyone’s website so he will have a target on his back. Can you wear Fisher’s crown? If so register for the top camp in the country in Boyd’s, Maryland. Stay tuned as Basketball Spotlight brings you the top players coming to the Future Phenom Camp.